This may seem unlikely due to the nature of running a discernment ministry but I like to believe the best in everyone. It is a fine line to walk every day to not become jaded when you review so many sermons that mangle God's Word and you see so many hucksters making merchandise of the sheep. I try to start any place of review with the assumption of innocence or ignorance. Last year when Victoria Osteen said that we worship God for ourselves and not for Him, I waited a week before writing anything because I wanted to give her time to correct herself. That would not change the nature of the falseness of her and her husband's ministry but it would clarify that one episode at least. It was only when she doubled down on her nonsense that I wrote about how absurdly narcissistic it was. Likewise there are many who label Brian Houston as a preacher of Chrislam because he once said in a sermon that we all serve the same God. I defend him on this point because he came out less than a week later and said he misspoke. Anyone can make a mistake beloved. It doesn't change the fact that he is one of the biggest heretics on the planet but he is not a proponent of Chrislam and to say so is unfair. "The call of the hour is for repentance. Sincere repentance. Not lip service. Not self-justification. Not procrastination. But a whole-hearted, renouncing of your evil ways, and a permanent forsaking of sin and self. Meanwhile in houses of worship there is no real worship. People stand in congregations, move their lips and sing their praises, but their hearts are far from God. "These people draw near to Me with their mouth, and honor Me with their lips, but their heart is far from Me. In vain do they worship Me ..." (Matt. 15:8-9). Actors and pretenders they are, with no sincerity. This lack of sincerity marks the church culture today. Much of what we do is just for show. There is always an insincere agenda behind it. Bottoms in the seats, bucks in the offering and buildings that must be paid. Another program, another project, another event, but there is no sincerity in many people. It is the spot and the blemish in our feasts and festivals. How many more tragedies and casualties must take place before our attention is arrested and our insincerity brought to light? How many of those who were killed in Las Vegas were right with God? How many were ready to meet their Maker? How many were even conscious of Him? My guess is not very many. It is heartbreaking. The way to death and destruction is always far wider than the way to life that is always narrow. The dictionary defines "insincerity" as not expressing genuine feelings; false, fake, hollow, artificial, feigned, pretended, put-on, inauthentic. Are you getting the picture? This is such an accurate description of our culture. The church is full of false converts and pretenders. They live double lives. 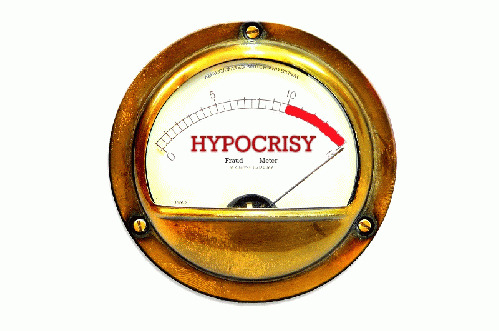 Hypocrisy is their most glaring feature. They are living only for themselves. They do what they want and when they want. There is no fear of God in their hearts. I've given my life to the Lord and to His work, but I constantly search my heart nearly every day. I don't want to be insincere. I hate that in myself. I don't want to be wrong anywhere in my life. I want to dwell in the holy fear of the Lord. I want to love and revere Him always. Because I understand the nature of deception, I guard my heart with all diligence. I ask myself over and over again, "Am I sincere? Are my motives pure? Will they stand God's own inspection?" "The opposite of "insincere" is genuine, honest, open, real, truthful, upright and trustworthy. These should be qualities found in every believer, but pride blinds us. And that is the root where the axe needs to be laid. Pride. Self-admiration, self-glorification, egotism and self-love are some of its definitions. It is the opposite of humility. "God resists the proud, but gives grace to the humble" (James 4:6b). That is our greatest need right now in the church and the nation. Humility and repentance. I want to believe Mr. Farias here, I really do. I want to give him the benefit of the doubt. I want to believe that he believes that humility and repentance are the keys and pride needs to be conquered in the life of a believer. The problem I am having is the second link above, which Mr. Farias wrote days before, entitled, "What's Really Going on Behind the NFL National Anthem Protests." This article contained absolutely no humility whatsoever. It was rude, arrogant, and represented personal opinion as truth throughout. Sine Mr. Farias worships this country; one might imagine that he has taken the side of the president on this matter. Without getting into a civics lesson, he is entitled to his beliefs just like the people he disagrees with are entitled to theirs. But how we disagree is often more important. Mr. Farias, the new champion of humility, called those who disagree with him useful idiots, degenerates, anti-American, arrogant, entitled, slaves, traitors, as well as accused them of biting the hand that feeds them and wished they would go live in Ethiopia so they could olive off of bread morsels. All of this, for choosing to kneel for the National Anthem. I want to believe that Bert Farias is being sincere here when he says that he wants this wave of repentance to start with him. There are two glaring things that would go a long way to showing his sincerity. First of all, he needs to pull the offensive, arrogant, diatribe he posted last week attacking people for having the temerity to disagree with him and he needs to apologize for it. That would signal a mature approach to evaluating oneself in light of Scripture and repenting when necessary. Secondly however, he needs to leave Charisma News. I understand that it is a platform but we cannot sell ourselves to works of the enemy and Charisma is a virtual cesspool of false teachings and prophecies. From the sneaky squid spirit Jennifer Leclaire to the NAR gatekeeper Dr. Michael Brown, Charisma News has long since proven that it no longer represents Jesus Christ. Every false teacher and prophet under the sun graces its pages and it is the chief proponent of worshipping America as an idol. There are precious few nuggets of truth left on this site and who we associate with is who we stand with. If Bert Farias is serious and sincere about repentance starting with him then these two steps would certainly demonstrate that. The jaded cynic in me doubts this will happen but perhaps I at least need to have the same hope that John the Baptist had. You want to avoid the coming wrath? Go and bear fruit with the repentance you are preaching.